Welcome to our VIP Slots Casino review! Please don’t forget to contribute to the page by sharing your honest experience with other OnlineCasinoBluebook.com readers. VIP Slots Casino is one of the many online casinos that offer iGaming services to players, but it is not just another online casino. 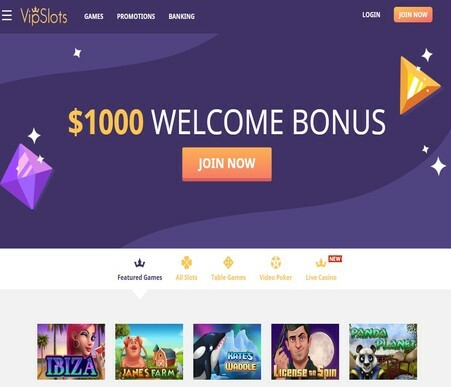 VIP Slots manages to stand out of the crowd by providing a unique experience to players who are new to casino gaming and veteran casino players alike. VIP Slots offers slot machine action and classic casino card games in an atmosphere that is friendly and secure that will always have players coming back for more. Despite the impression that players might get from the title of the casino, VIP Slots has an extensive selection of games that include more than just slot machines, although, their range of slot machines is outstanding. The experience at the casino begins with a welcome package that can give players up to $1000 across the first three deposits. There are plenty of other bonuses that players can take advantage of during their stay at the casino. The casino has a Curacao-issued license, and it implements state of the art security and safety measures to provide players with a hassle-free and a safe gambling environment. The casino’s launch date was in 2017, which is quite outstanding since the casino has built a solid reputation in the iGaming industry, in such a short period, which helped it climb to the top of the lists. It has CyberRock as the owner, and that that operator has been in the gambling industry since the 90s, which means that there is a lot of experience behind the casino. It might explain its great success despite its young age. Another unique thing about the casino is that its gaming selection comes from two big gaming developers, which are Betsoft and Arrow’s Edge. Players can enjoy a wide array of 3D slots and roulette wheels while also enjoying a few immersive hands of Blackjack. VIP Slots Casino has acquired its license from the jurisdiction of Curacao. Players are can play with a feeling of security whenever they place bets at VIP Slots casino, in knowing that the casino abides by the strictest of standards that the Jurisdiction of Curacao has in effect. VIP Slots does not suffer from any shortage when it comes to treating their players as they deserve. The casino showers their customers with gifts from the moment they sign up and grab the valuable welcome package. There is also a VIP Club, weekly bonuses, as well as exclusive email offers. VIP Slots gives customers the VIP treatment from the moment they create a real money account and make a deposit. The casino welcomes them with a package that can amount up to $1000. The welcome package covers the first three real money deposits that a player makes after registering and verifying their account. The casino is going to match the first deposit 200% with a maximum of $200, and it will match the second and the third deposits 100% with a maximum of $300 and $500 respectively to make a total of $1000. The minimum deposit to be eligible for that bonus is $25, and it expires in thirty days. So players will have thirty days to meet the wagering requirements of 35x deposit + bonus to transform the bonus credits to real credits. VIP Slots has a different bonus for its players on almost every day of the week. There is the 75% Reload Tuesdays, Free Spins Thursday, 100% Reload Saturday and Happy Monday Free Spins. Therefore, players will be able to get more money than they deposit, as well as free spins throughout the week. The casino strongly believes that players should get a reward for every credit they spend at the casino, and they don’t have to be high rollers to get the VIP treatment. Players are members of the 10-tiered VIP Club, and can play their way up the ladder to access more rewards, free spins, and bonuses. VIP Slots Casino runs on Betsoft Casino Software, which also provides it with a wide selection of games. The casino also has another gaming developer, which is Arrow’s Edge. The software is simple and attractive, and easy to navigate for even the most novice of players. The casino lays out its selection of games in easy to use categories which helps players to quickly find their favorite games. Gaming at VIP Slots is with an instant-play flash version that players can enjoy on any Flash-enabled browser. It also gives players the chance to check out the games for free, without making any deposit so they can get a taste of all that the casino has to offer. Although the casino does not have a native Apple or an Android App, entering the casino’s website through a mobile browser will do the trick. The casino also has an extensive selection of live casino games that include Live American Roulette, European Roulette, Baccarat, and Blackjack. VIP Slots Casino understands the importance of customer support; it is how it makes players feel welcomed, heard and knowing that they can reach out and get help at any time. The casino provides players with numerous ways to contact customer support. There is a well-trained and professional team that is waiting to answer all queries around the clock all week. Players can use Live Chat to chat with customer support instantly, or they can use one of the many toll-free phone numbers or shoot an email to support@vipslots.com. The casino caters to the needs of different players by providing them with numerous depositing options. The various options have different maximum amounts of deposits. These depositing methods include most credit/debit cards, QuickCash, Pre-paid Gift Card and Bitcoin. The Bitcoin method has the most significant maximum deposit amount, which is equal to $10000. Withdrawing funds is as easy as making deposits. Players will be able to transfer their funds to their Bitcoin wallet, transfer it to their bank or use Quickcash. Players can only request one withdrawal with the same method per week. Bank Transfer has the highest withdrawal limit, which is equal $2500. VIP Slots casino is a licensed casino, and its games are tested regularly to guarantee players a fair gaming environment. It also implements state of the art security measures to ensure players a secure experience, especially when making deposits and withdrawals. The casino holds its license from the Jurisdiction of Curacao. Curacao became a constituent and an independent country of the Kingdom of Netherlands after the dissolution of the Netherland Antilles in 2010; on the other hand, Curacao’s iGaming Jurisdiction is older than that, as it opened its doors back in 1996. It makes it one of the oldest regulated online iGaming markets. Therefore, they can enjoy a safe experience in a fair environment as they enjoy VIP Slot’s casino games. VIP Slots also does not tolerate any underage gambling, and this is why players who wish to play at the casino will have to respect that rule and will have to provide documents that will prove their age. VIP Slots Casino has proved to be one of the best casino gaming providers with their high-quality iGaming experience, which they give to players around the world in general. The casino has managed to do that by hosting a wide array of casino games, including slot games, roulette wheels, and blackjack tables to mention a few. 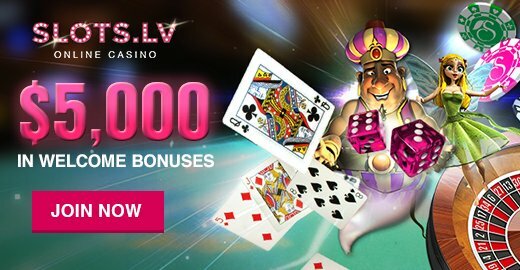 The casino has plenty of generous bonuses, including a $1000 welcome package and an exquisite VIP Club. It offers 24/7 customer support service, numerous depositing/withdrawal methods, and an overall safe and secure experience. Thank you for reading our VIP Slots Casino review! As with all of our reviews, feel free to drop a comment about your experience at this casino. Or reach out with any questions about gaming at this establishment.